The Insta360 Air is the cheapest way to have fun with 360-degree stills and video via your Android smartphone. Virtual reality headsets and 360-degree videos are trends that don’t show signs of disappearing in the near future. That means you may want to start taking and sharing this type of media, ready to amaze and delight your friends and social media followers. Except, 360-degree cameras can be invariably expensive to buy, often difficult to use, and almost always another sizeable gadget to carry around. The Insta360 Air camera neatly sidesteps all those problems. It’s affordable, compact, and genuinely easy to use. But its biggest convenience: It plugs into the USB port on an Android phone for a direct, instant connection and power. 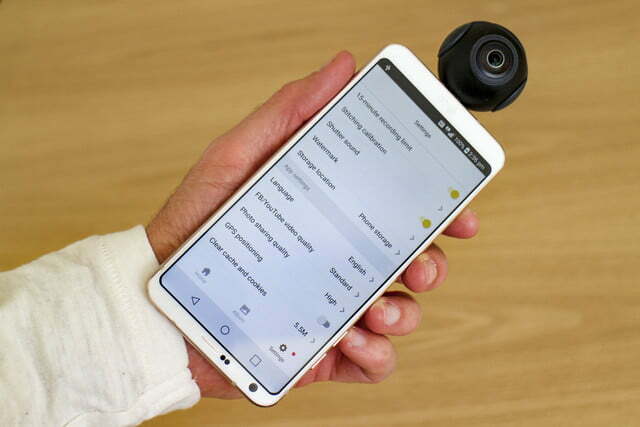 It has limitations – namely, resolution – but for Android users looking to dabble in 360-degree creation without breaking the bank, the Air is an interesting gadget. 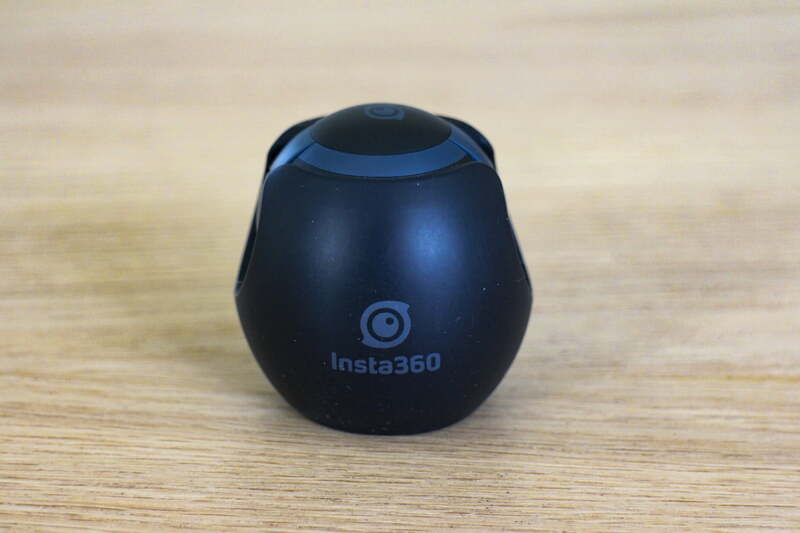 The Insta360 Air is about the size and shape of a golf ball. 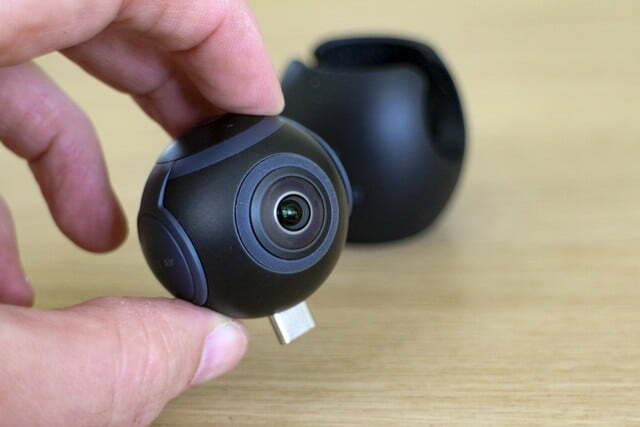 The spherical camera has two lenses on opposite sides of each other, and a USB connector underneath. When not in use, it slips into a rubber protective case that keeps it secure and prevents the lenses from being scratched (the rubber does attract dust and lint, however, and it’s impossible to wipe off). Aside from some subtle branding, the black and gray colors of our review camera looks very ordinary, but you can buy versions in brighter colors. The Air has no battery. So you don’t have to worry about charging it, but it also will deplete your phone’s battery quicker. It’s solidly made, and when attached to a phone the USB connector is mounted securely. We tested an Air with a USB Type-C connector, but it’s also available as a Micro USB option. 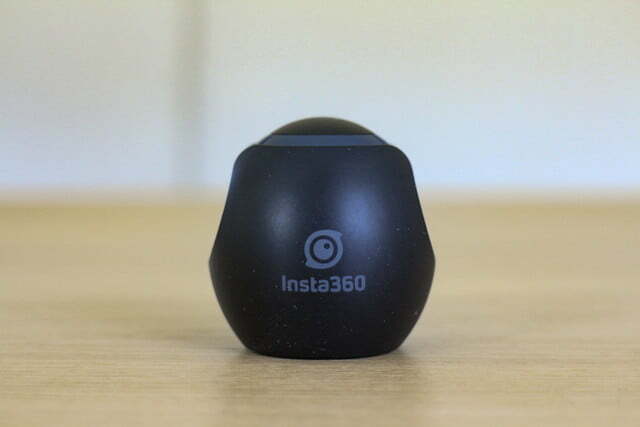 Apple iPhone users shouldn’t feel left out: While the Air is exclusively for Android (5.1 or higher), Insta360 makes a different 360-degree camera with a Lightning connector, called the Nano, for iPhones. The Air is highly portable. It’s so small that it’s easy to keep in a bag, or inside a pocket, if you don’t mind the unsightly lump. Unlike larger, standalone 360-degree cameras that require you to juggle two devices, the Air isn’t intrusive. 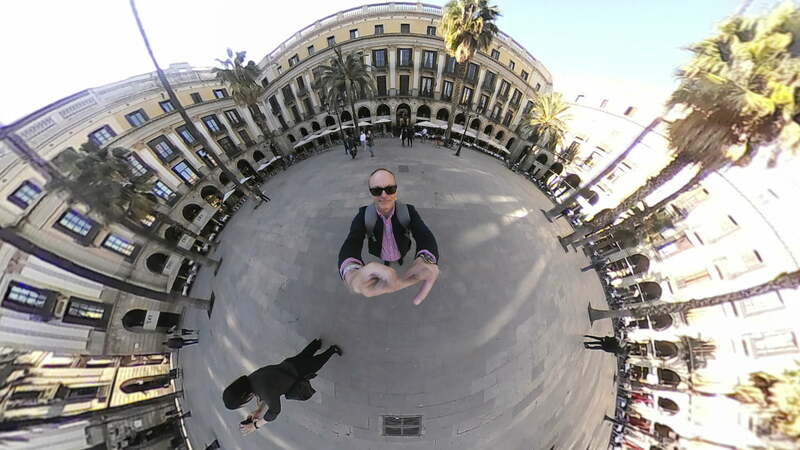 Plugged into a phone, spherical photography becomes available at all times; this makes us want to take more 360-degree photos. 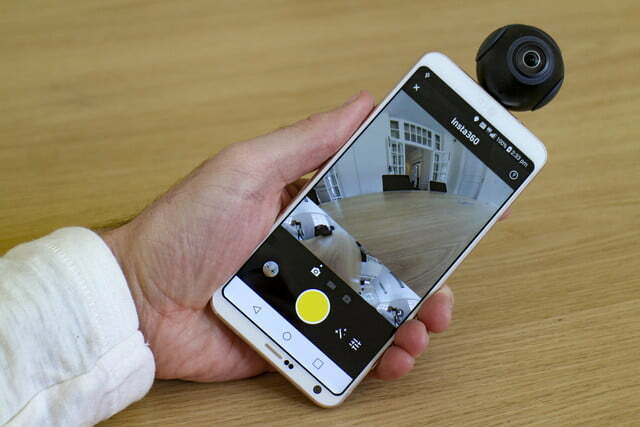 Other 360 cameras employ Bluetooth or Wi-Fi (or both) to wirelessly connect to a phone for photo transfers or use as a live viewfinder, but it’s not always reliable, and rarely quick to set up. The Air’s direct connection, however, is easier to do and more stable, too. The app pops up automatically when the camera is attached, and you’re not likely to have a dropped connection. The downside to this approach, as we mentioned, is that it only works with devices with the compatible USB-type port. Because it draws power from the phone, the Air has no battery. This has both pro and con: You don’t have to worry about charging it, but it would deplete your phone’s battery quicker. As for storage, the Air also relies on your phone. If your Android device supports a MicroSD card, we suggest saving content to it. 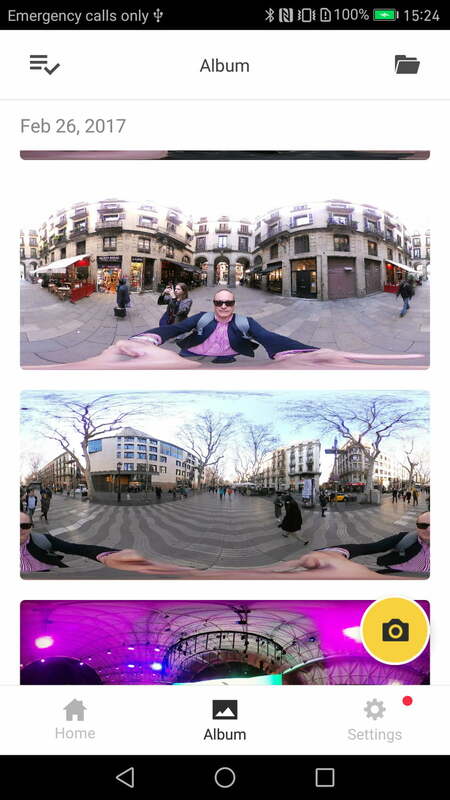 The camera can only be controlled through the Instant360 Air app. 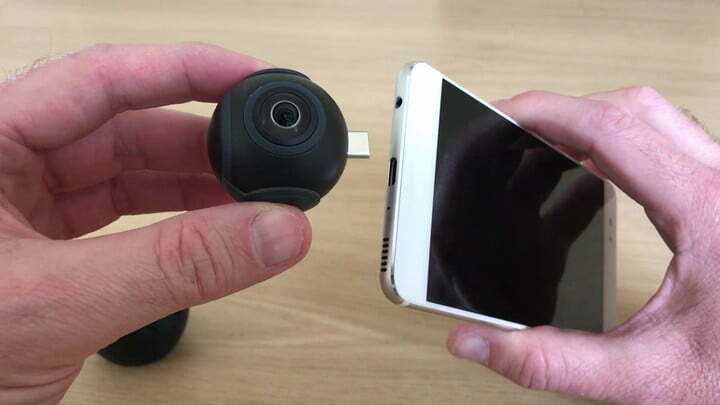 Plug the camera into an Android phone and the app launches instantly – just the wrong way up. By design, you need to turn your phone around (right side down) to use the camera. It’s not a big hassle, but it’s annoying should you need to access another app. Interestingly, when our phone went to sleep while the camera was plugged in, the app would relaunch the correct way. You can choose to contribute your own photos to Insta360’s own image-sharing social network or keep them private. 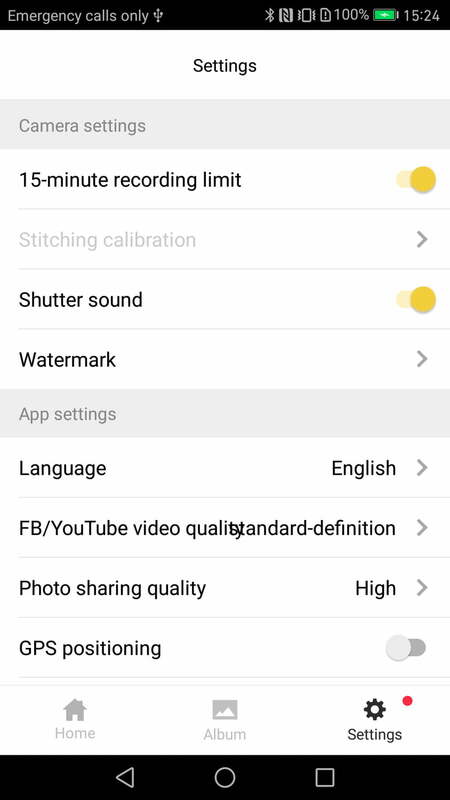 The app has a few guides that introduce features to new users, but it’s not a difficult camera to use. Anyone used to using a smartphone camera probably won’t need them. The button to activate the camera is on the Home tab, but we’d rather there was a permanent shortcut that we could access from anywhere in the app. After all, it’s the main reason we’re using it. The Air not only takes 360-degree stills and video, but it can also live-stream 360-degree content to Facebook, YouTube, Periscope, or Real-Time Messaging Protocol (RTMP) server. These modes are selected using buttons above the shutter release, which changes color to indicate mode. 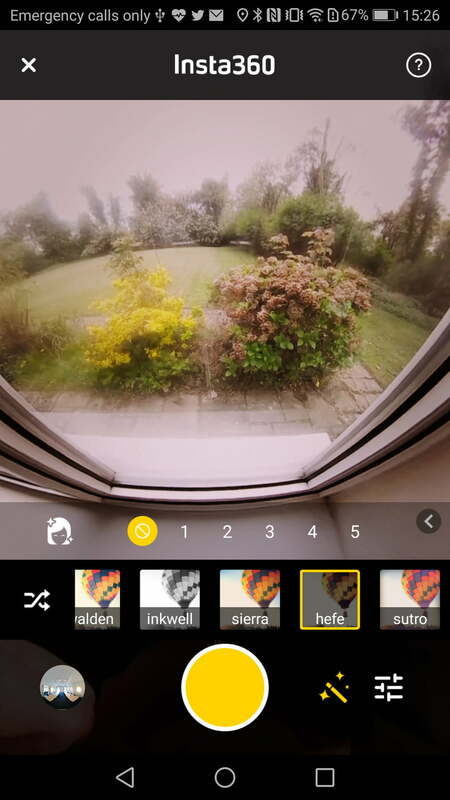 A selection of live filters can be placed over the image, and there’s a manual exposure control, plus a timer. A feature we really like is the option to view the standard forward-facing image, along with a stretched-out panoramic view directly underneath. The latter function is useful for seeing what’s all around you – making sure no one is making stupid faces behind you while you’re recording. After you take a picture, there’s an option to adjust the horizon, add filters, or convert the file to VR mode for viewing in a headset. You can also view the picture in the default fish-eye look, or pick a perspective view, a spherical crystal ball view, or a fun “Little Planet” view for a really unusual visual style. We experienced no connectivity problems, the app was stable, and it worked perfectly on a Huawei Mate 9 and a Huawei P10 Plus. 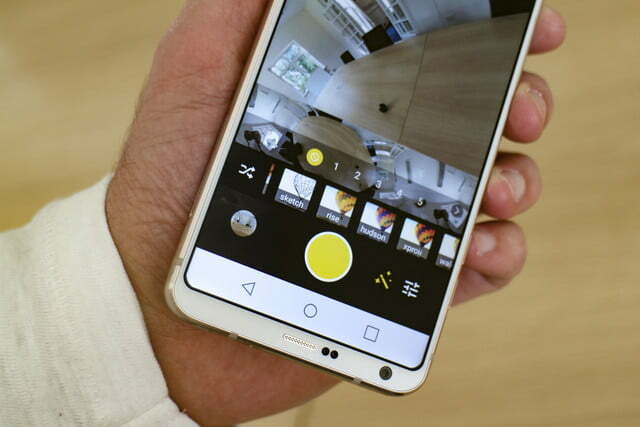 However, the LG G6 presented a few problems: The phone constantly questioned whether it should charge up the camera (it shouldn’t) and refused to alter the USB mode permanently, resulting in disconnects during video use. 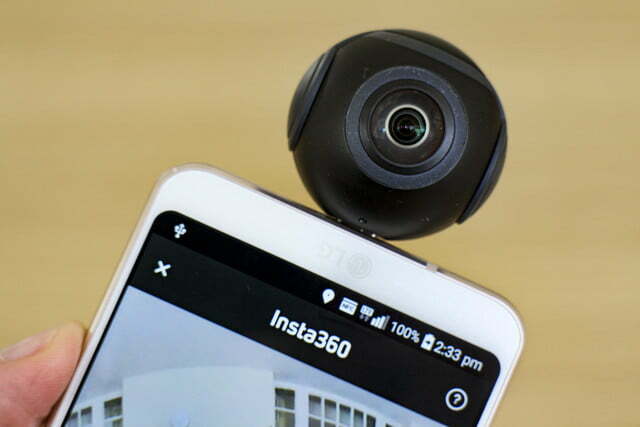 The dual fisheye camera lenses on the Insta360 Air take still images at a 3,008 x 1,504-pixel resolution, and video at 2,560 x 1,280 pixels at 30 frames per second. Stitching happens in real-time through the app. By comparison, the Air’s resolution is lower than the massive 5,472 x 2,736 pixels for stills from the second-generation Samsung Gear 360, or the 5,660 x 2,830 from the LG 360 Cam. 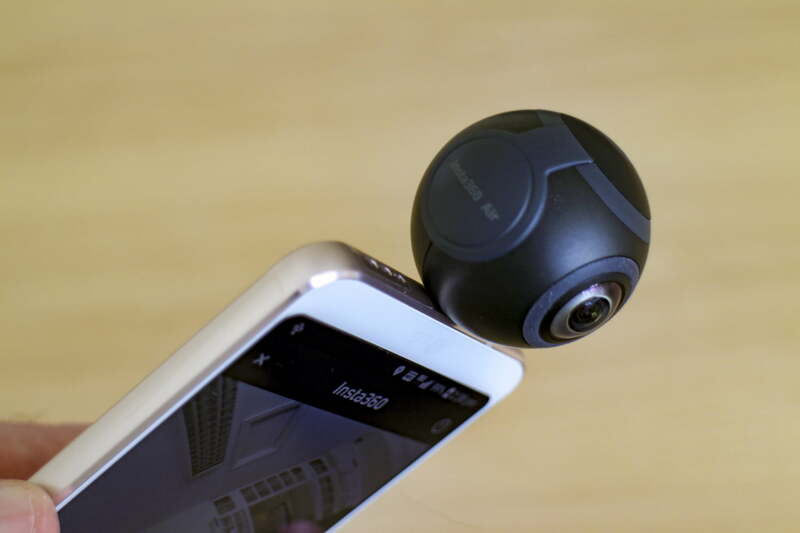 Samsung’s new Gear 360 also shoots video at 4,096 x 2,048 pixels, blitzing the Insta360 Air. This means the final image is more pixelated, and not as high quality as the standalone models we mentioned. Zoom into shots taken with the Air and it’s noticeable: Quality is not terrible, but in these times of amazing smartphone camera photos, we’re used to having more than enough detail visible in the images we take, and notice the drop in quality when it’s not there. The camera has trouble handling challenging lighting environments, despite having a constant f/2.4 aperture. Under the bright sunlight of Barcelona, Spain, where we first tested the camera, the sky was often completely washed out as it struggled to adapt. Exposure can be tweaked, but we wish the camera’s auto-exposure did a better job. 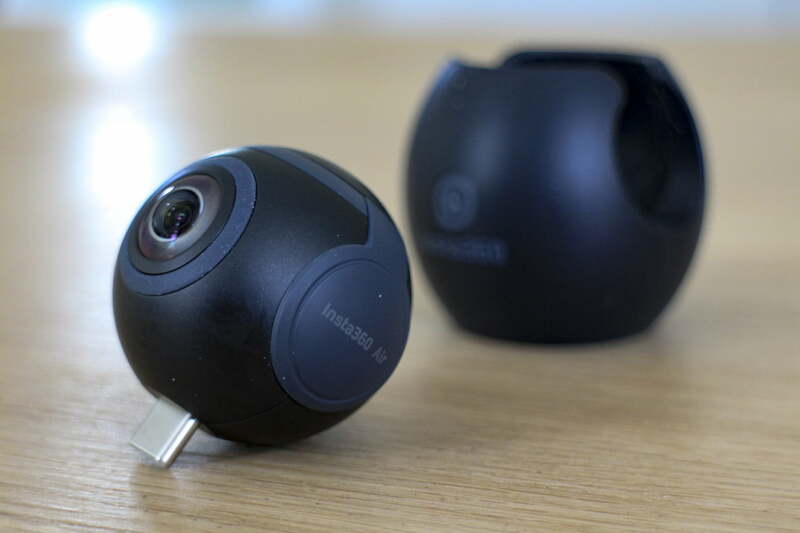 Granted, this isn’t a professional-level 360-degree camera. 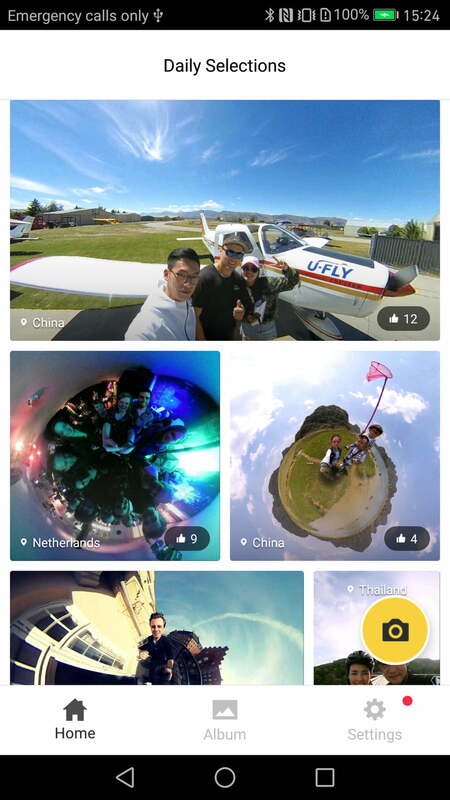 It’s made for sharing unique photos with your friends, and for that the Little Planet view is best. It looks cool, and doesn’t show the camera’s shortcomings. Share the larger fisheye pictures, and the quality is a little disappointing – almost like you’ve deliberately uploaded a low-res version of the picture to conserve your data plan. It’s not all bad news: We like the way it shades the area around the base of the image, minimizing boring shots of the ground so our eye is drawn to the bulk of the image. We love zooming in and out on the Little Planet-style shots too, giving us plenty of creative control over the final image. Viewed on your phone, or on your Facebook page, the standard still images look fine in the smaller sizes. There’s little evidence of any stitching except for a pair of warped hands if you were holding the camera when you took the photo. Stitching shows up more during video, and Facebook Live video is only shot at two megapixels, which is too low for modern standards. However, Insta360 isn’t responsible for this restriction, and it may change in the future. For now, you get better results in terms of pixel density from shooting a Facebook Live video with the camera on your phone, and foregoing the 360-degree viewpoint. Expectations need to be kept in check with the Insta360 Air, which is actually what needs to be done with 360-degree photos altogether. They don’t present the same creative opportunities of a still photo from a standard camera, leave nothing the imagination, and there’s no chance for framing a perfect shot. It’s all or nothing. Provided you understand this – you can’t compare it to a traditional camera – you’ll have fun with the Insta360 Air, and produce satisfactory images. If sharing photos on social media is where the Insta360 Air shines, then it needs to be easy to do. We’re happy to say it’s incredibly simple to share photos, but again, your expectations need to be realistic. This isn’t the fault of the camera though; it’s the lack of widespread 360-degree photo support on the web. Through the app you can share directly to Facebook, Twitter, Instagram, or through a custom link. 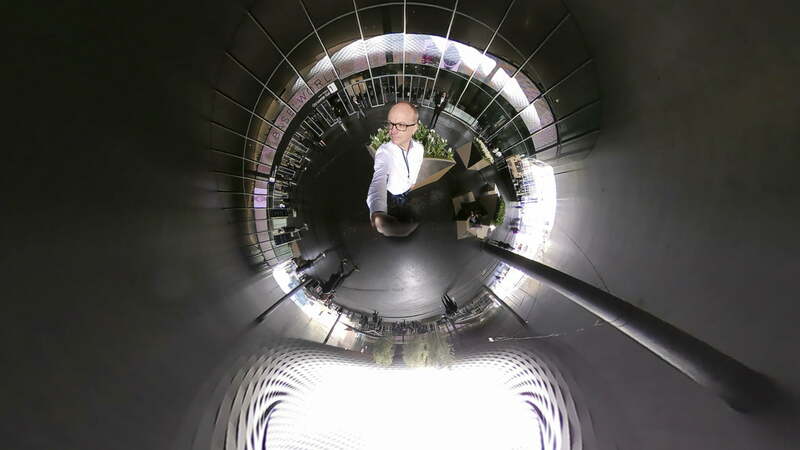 The latter uploads your picture to Insta360’s own server, where it can be viewed in its 360-degree entirety. 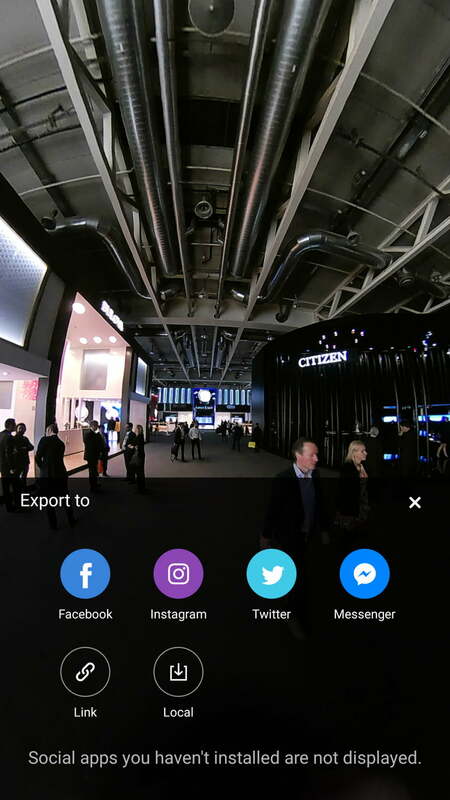 Facebook and YouTube also support scrollable 360-degree photo and video support, and although Twitter and Instagram don’t, Little Planet shots can be shared on Twitter. The cool new feature, however, could be the aforementioned 360-degree live broadcasting, to Facebook, Twitter/Periscope, and YouTube. To live stream you must sign-in to the relevant service (at the time of writing, Twitter wasn’t available, but will come in a future update). To go live on Facebook, the process is managed through Insta360’s app, and is very similar to going live through Facebook’s app. It worked each time for us, and the video posted has that familiar swipe-around-to-see control system you’ll have used before on the social network. Live 360-degree streaming isn’t a common feature, and to find it on a very competitively priced camera is a pleasant surprise. 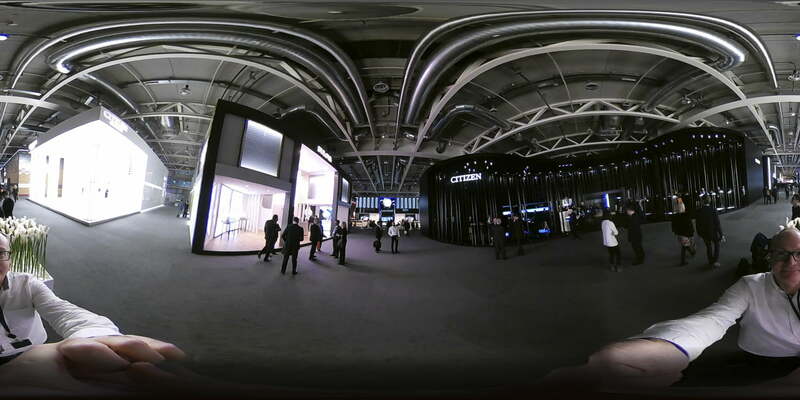 For example, Samsung has only just introduced the feature on its second-generation Gear 360. Everyone can get his or her 360-degree shots out into the world quickly and easily with the Insta360 Air. The process is the same as sharing any image from any app, and will be familiar to almost everyone. The image people end up seeing is determined by the platform to which it’s shared, and the creative choices you make though the app. If your goal is to take fun, easily sharable 360-degree photos, where image quality isn’t the primary concern, this is a camera for you. 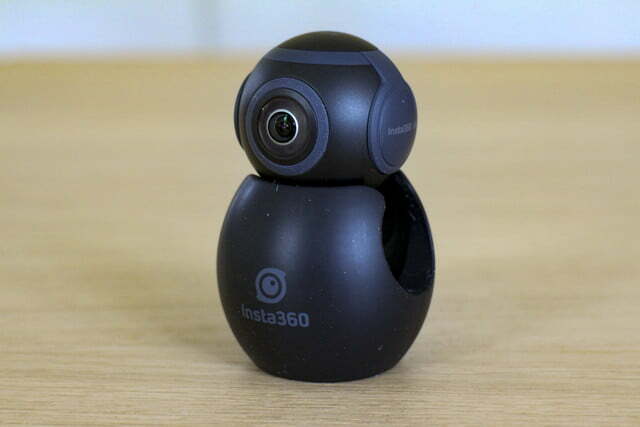 The Insta360 Air costs $130 (it’s sold through Amazon), which is less than half what you’ll spend on the original Gear 360 and likely the sequel as well, or the Ricoh Theta S. It’s also less expensive than the Giroptic iO, a 360-degree camera that uses the same approach as the Air. Even when you consider the drop in image quality, the low price makes up for it. Insta360 provides a one-year warranty on its camera, which covers failures and defects in the device itself. The Insta360 Air is a fun, easy-to-use, and affordable introduction to 360-degree stills and video for consumers. 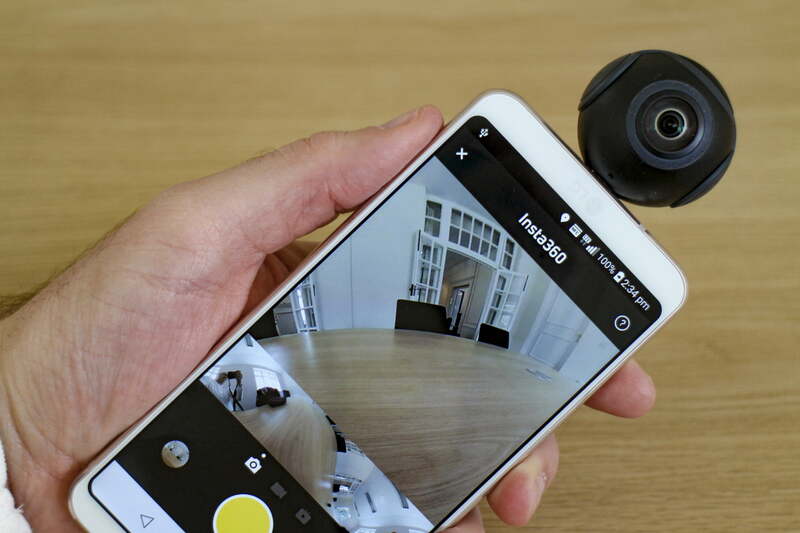 It neatly sidesteps the often-frustrating connection woes associated with standalone 360-degree cameras – all inside a highly portable and convenient package. Outside of models from unknown brands you can import from China, the Insta360 Air is one of the cheapest ways to get started with 360-degree stills and video, and the fact it has live streaming built-in makes it even more of a bargain. 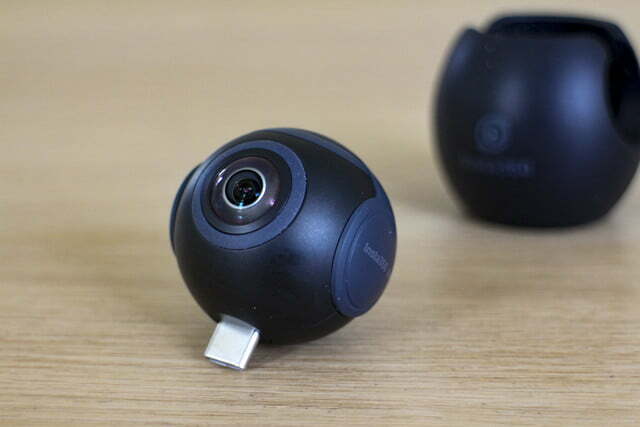 The LG 360 Cam cost around $200 at launch, but can be found for less now. It shoots higher quality images, but lacks the convenience and live-stream capability. 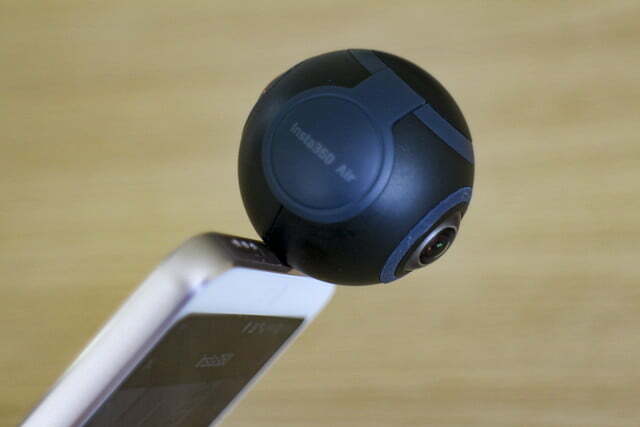 You’ll spend at least $350 if you want one of Samsung’s Gear 360 cameras – the second generation model’s price hasn’t been confirmed yet, but it’s likely to be very similar – and more again if you want a Ricoh or similar camera. 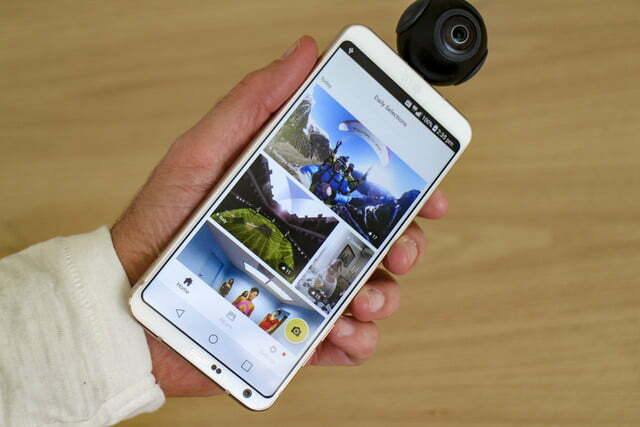 While the Insta360 Air is made for an Android phone, if you’re also in the market for a new phone to go with your 360-degree camera, we were impressed by the $250 Giroptic iO, which operates only with the Apple iPhone but an Android version has just been announced. Giroptic’s app is very simple to use, and it also has the same live streaming capabilities. Although more expensive, the iO is the closest competitor. There’s nothing to suggest the Insta360 Air will break, especially if it’s kept in the rubber case. However, if you’re not careful, it’d be easy to snap off the camera from the USB connector if you drop it or accidentally knock it against something. It’ll need to be a hard knock, but if it does snap off, it’d be a serious problem. Provided Insta360 continues to keep the app updated and compatible with future Android versions, the camera will operate indefinitely. The low resolution does mean the images it produces may not age very well either, and will look out of date quite quickly. If you buy the Air, know that you will be an early adopter and playing with nascent tech. You should definitely anticipate stronger products in the near future, like Ricoh’s upcoming 4K Theta. 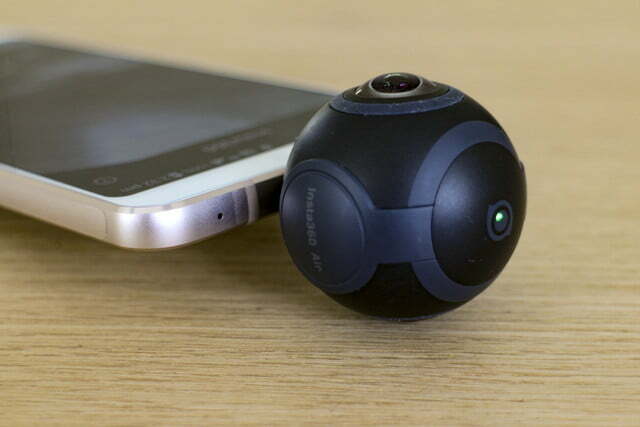 Yes, it’s affordable and gives Android users the opportunity to create 360-degree content. It balances acceptable quality images and video with a competitive price, while adding value with live streaming, easy sharing features, and quick connectivity.